Surprise early upload! You guys called it! This means that 1. the ‘Black Friday’ preview from Hong Kong is not our North America Black Friday items (will we see rainbow reflective after all? ), and 2. this marks the start of the twice/week holiday uploads. Nothing for me this upload, thank goodness though. I don’t dislike this multi color floral print at all but I need these fun prints to come out in something other than the bra/tight combo. I’d love a swift fabric run singlet in a print. Next upload should be Thursday Evening/Friday Morning for Black Friday, so stay tuned for that! Last weeks Upload Post, Lululemon Black Friday Sneak Peeks (for Hong Kong), Lululemon Store Photos. 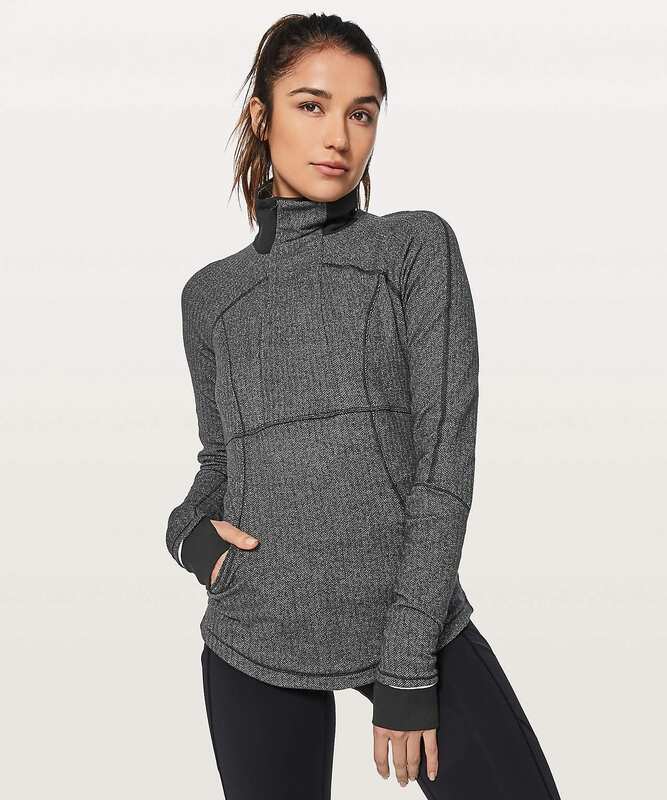 "Lululemon Black Friday 2017 Sneak Peeks"
"Lululemon Store Photos: Stand Out Sherpa, Wunder Under Hi Rise Sheen, Embellished Multi and Fluorolace Multi Wunder Under Hi-Rise, Full Freedom Tank "
Oh nooooooo, there’s too much I want, ack! To confirm, tho, those shorts with the lilac swiftly are not yet available, right? I really liked those…. I love them too! First thing I looked for. Would the next upload be thursday then? I think so, I’m pretty sure that during the holiday season they do two uploads a week. got the embroidered tunic and the sheen wunder unders. I think things are finally starting to look up. I see more and more that interests me. I am looking forward to what they come up with for black friday. My fave black friday has been the one with all the special edition pieces with ruffles. Me too!! I think I bought everything they offered with the little ruffle edging that year. Still my favorite pieces to wear! I’m tempted by the embroidered tunic as well, but I’m wondering about the placement of the flowers. I’m hoping they will have it in store to try-on. Nothing for me. I really like the Embellished Multi print. I looks very William Morris to me. But I don’t have any need for luxtreme WUPs or an over-the-head bra. I wish they still made the old Speed Tights without the mesh. That would have been phenomenal. But, no… I don’t like Speed Ups or whatever the new tights are called. Eh, more cash for shopping for others…. No sign of the metallic wunder unders?? They are HOT HOT HOT ! They run TTS. I got two pairs. They look great and fit great and feel great. I am very happy with mine. I bought a pair to wear casually and a pair to workout in. I highly recommend them. I had mine Hemmed 3”. Oh no! This is going to be dangerous season for me. Now, I might have to forgo my Alo purchases I was going to make. Not liking the new florals in this upload. The flourolace inparticular… Giving me Lularoe vibes which is not good. Has anyone heard anything about seasonal or specialty bags? I know we all must have a kabillion bags, but I need to be on the look out for bags since the store in HNL gives them out so quickly. I noticed “zing pink” socks. Is this old stock or do you think zing pink may be coming back?